ChargePoint says the ClientEarth ruling shows the need for governments and the private sector to collaborate. So says ChargePoint following yesterday’s High Court case, which saw the UK government defeated for the third time by ClientEarth over its air pollution plans. The ruling is likely to accelerate the roll-out of clean air zones in cities across the country, and could also have a bearing on future taxation structures. 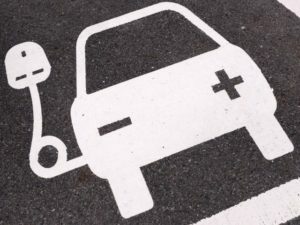 In response, Christopher Burghardt, ChargePoint’s managing director, Europe, said: “With air pollution now posing a significant risk to public health, this is an opportunity for communities to make significant changes today to quickly combat the problem. “One of the easiest solutions is to incentivise the adoption of alternative forms of transportation, such as electric vehicles, which can quickly make a significant dent in air pollution in London and around Europe. Collaboration across the transportation ecosystem is key to help pave the way for the mass adoption of electric powered mobility.